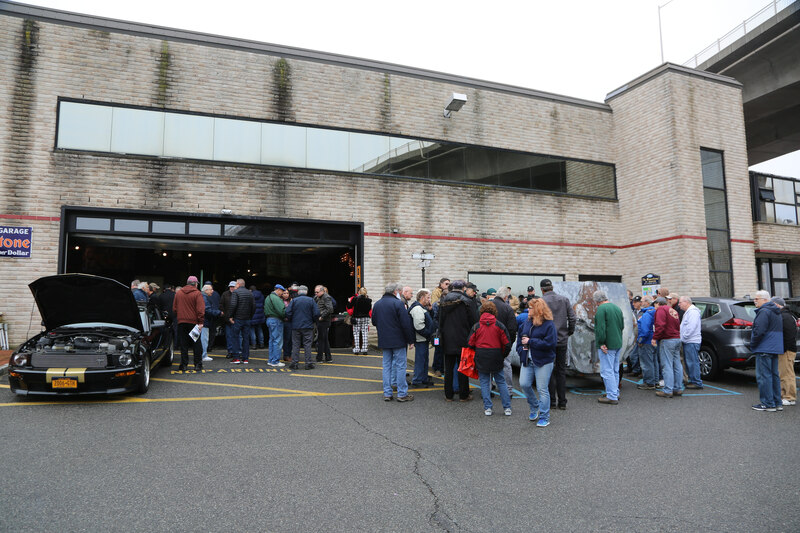 Thanks everyone for turning out for last Sunday's Tucker 1044 Open House. Several highlights from a really fun day! Blog Photo: Left to right: Sean Tucker, me, Mike Tucker and Ty Tucker (kneeling). Courtesy of Bruce Adams. A great turnout from viewers of VanderbiltCupRaces.com . Video of 1044 before it leaves for Amelia. Spending some time with a great friend this morning. Open house at Howard Kroplick’s garage and Tucker 1044. Off to Amelia next! 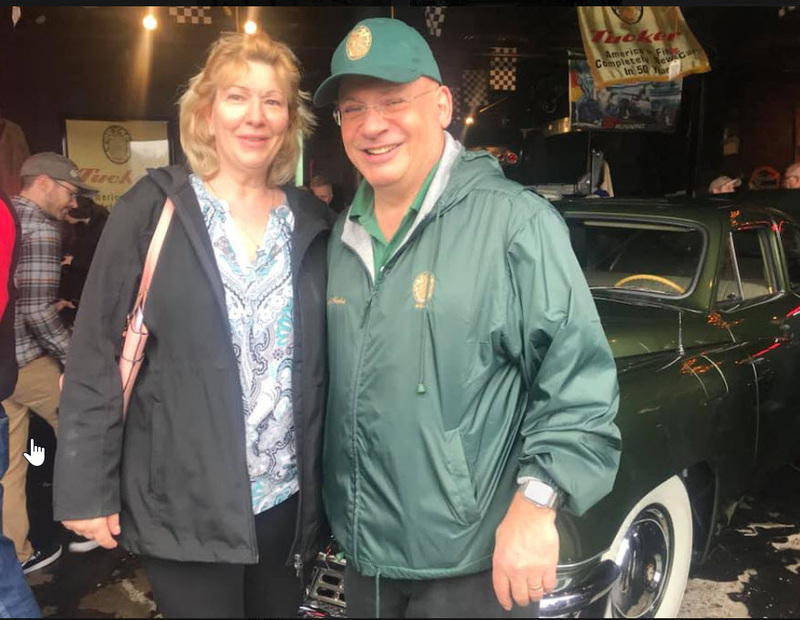 It was a treat to visit the automobile museum of my friend Howard Kroplick today. 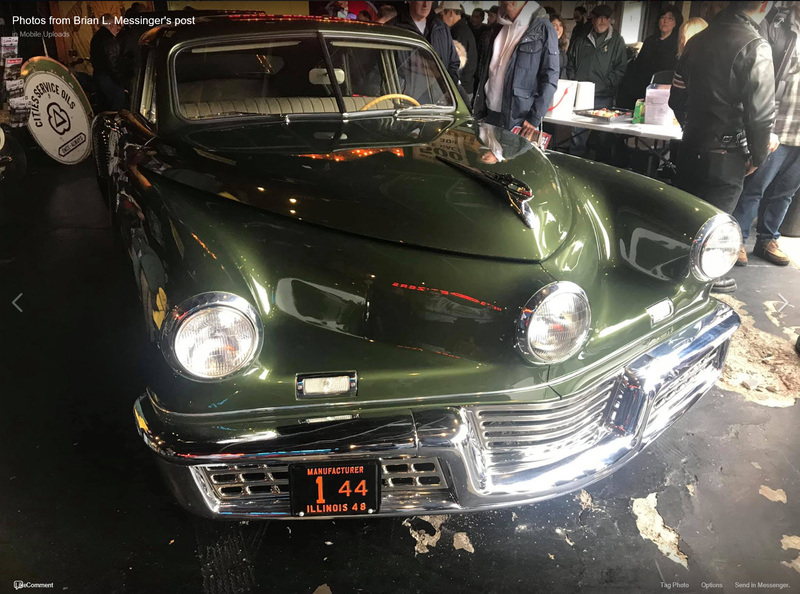 Howard was showing off his beautiful 1948 Tucker which took second place only to George Lucas's Tucker at Pebble Beach this past summer . 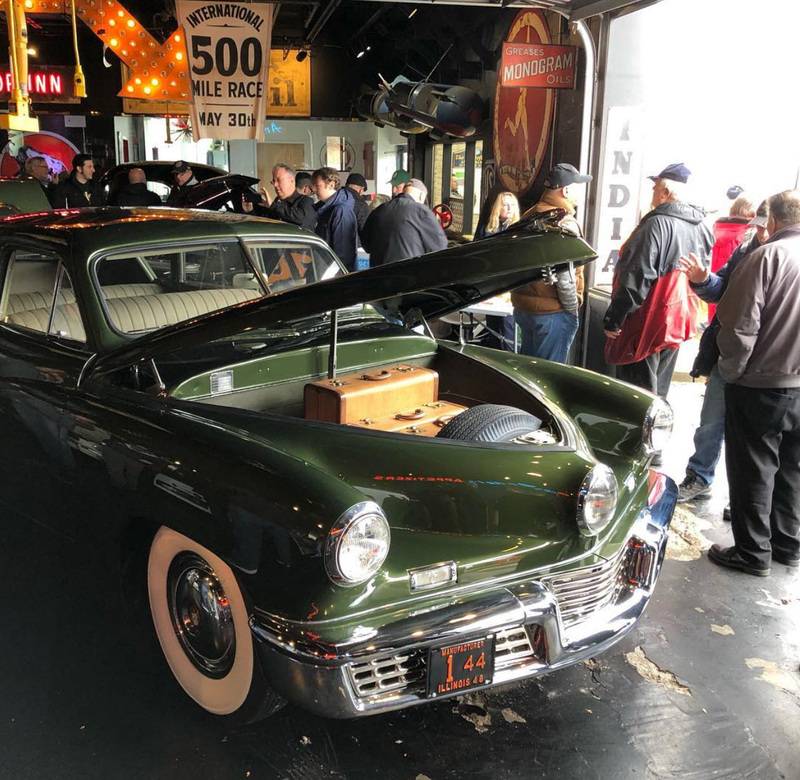 In attendance was Preston Tucker's grandson twins, Sean and Michael who were there to describe the history of the car and to tell us a lot about the materials and things as how the restoration people that did such a perfect job of restoring this automobile. 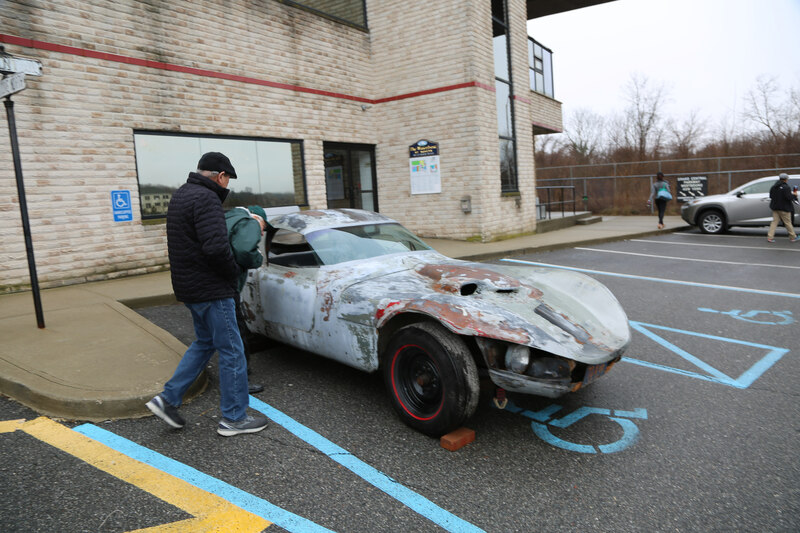 Howard also showed us his 1963 Mustang prototype which was hidden after it was supposed to have been destroyed as a prototype. Not to be forgotten is Mr. Walter Chrysler's own chauffeur driven automobile which I was with Howard when we first came upon it looking like a real wreck but then it won first place at Pebble Beach a couple of years ago. 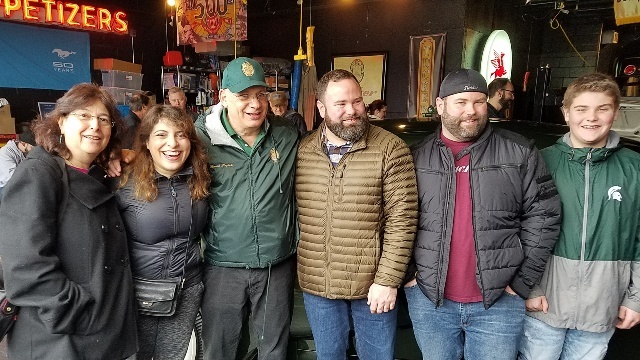 Left to right: Roz Kroplick, Dana Kroplick, me, Mike Tucker, Sean Tucker and Ty Tucker. 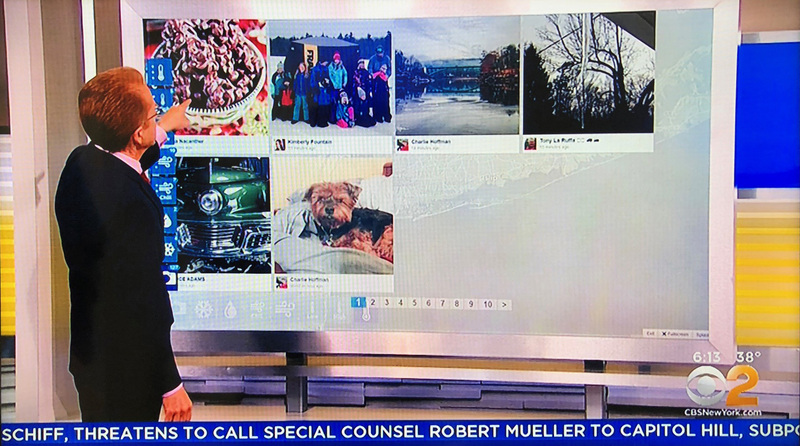 One of Bruce Adams' photos was featured on Monday's CBS New York's weather report. "I spent a pleasant few hours at Howard Kroplick's shop. He has a few one- of-a-kind cars. Besides the cars, the whole building was covered in signs and billboards. Thank you Howard, for letting us take a look." "seeing these rockets from Nunley’s at Howards open house brought back so many fun memories (1985)"
This Tucker was beautiful when I first saw it in 2017, and seeing it in person today for the first time since its complete restoration, I am speechless! Congratulations Howard Kroplick, Rob Ida, and the whole team. 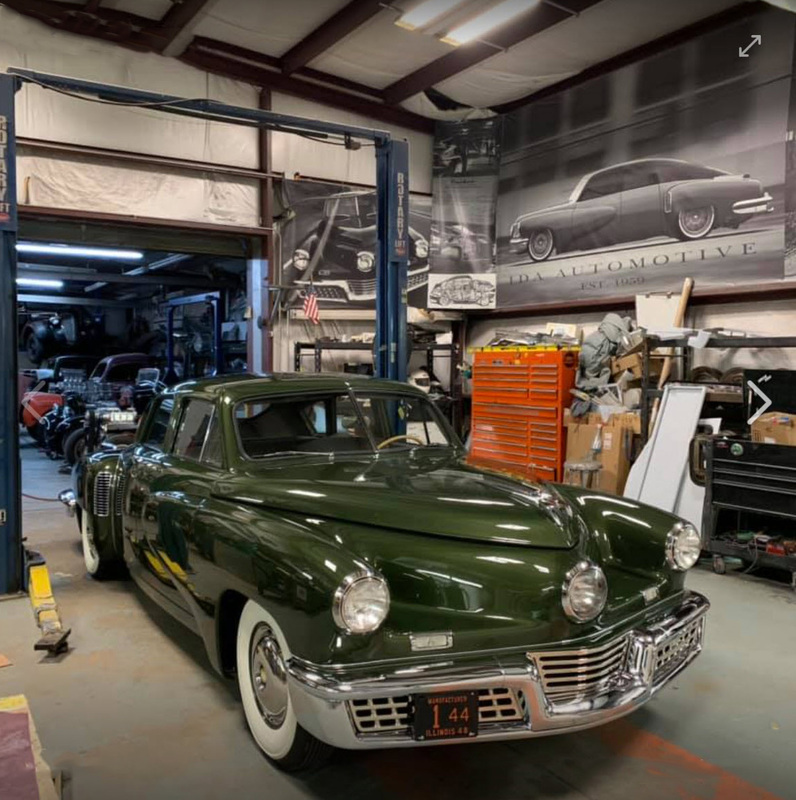 Rob Ida- "Tucker 1044 getting ready for its trip to Amelia Island." 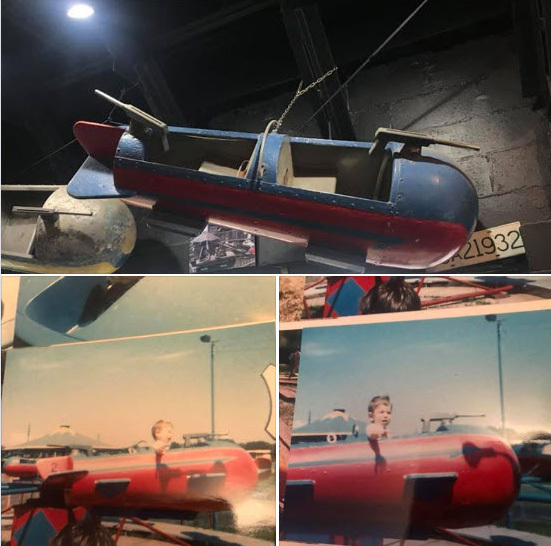 Howard, I just wanted to thank you for the opportunity to see the restored Tucker today. The car is amazing! I loved meeting the Tucker descendants and the Ida’s. All very nice people. It is awesome of you to allow all of us to get up close and personal with your wonderful cars. Your casual nature and generosity in sharing these wonderful vehicles is great for the local car hobby. I can only echo what Jeffery has sated, GREAT TIME, GREAT CAR AND GREAT PEOPLE. I saw so many Long Island Buick Club members there I thought they were having an official meet! My sincere thanks to so many people who made the effort this morning to wish me well, during my health recovery. It really meant a lot to me. It was just so nice to be there, what a festive occasion. Wishing you the very best on your trip to the concours down south. Howard, it was a great turnout today with people we know like the GREAT WALT GOSDEN! Also I gave a tour for a lovely couple that I’ve met previous time, showing the screwy hallways of the building with the auto memorabilia on the walls on both floors, two stairways for two different hallways on the second floor. Next Open House or any time, if you haven’t seen it, check it out. Too bad I couldn’t make it to the open house, due to a work commitment. But the pictures are great! I saw the Tucker before the restoration and would love to see it up close now that it has been restored. 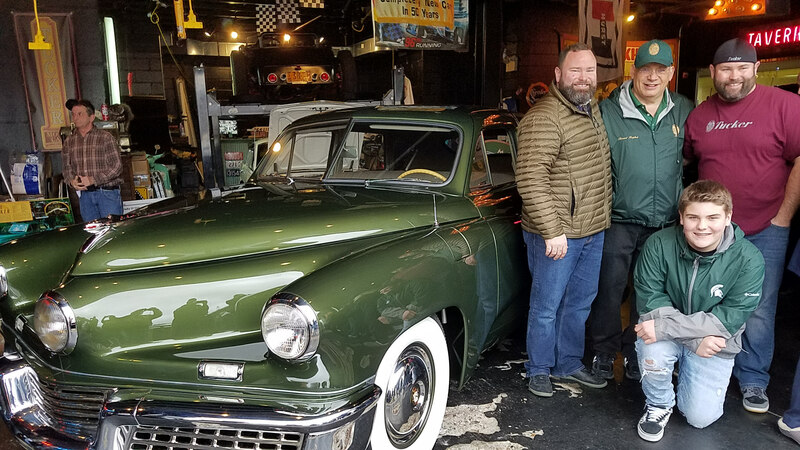 Thanks for sharing your cars, and for the work you are doing to preserve history. Great gathering, I thoroughly enjoyed myself last Sunday. Nothing but high praise for the phenomenal restoration work by your team. Glad you chose the original color, it really accentuates the lines of the car. 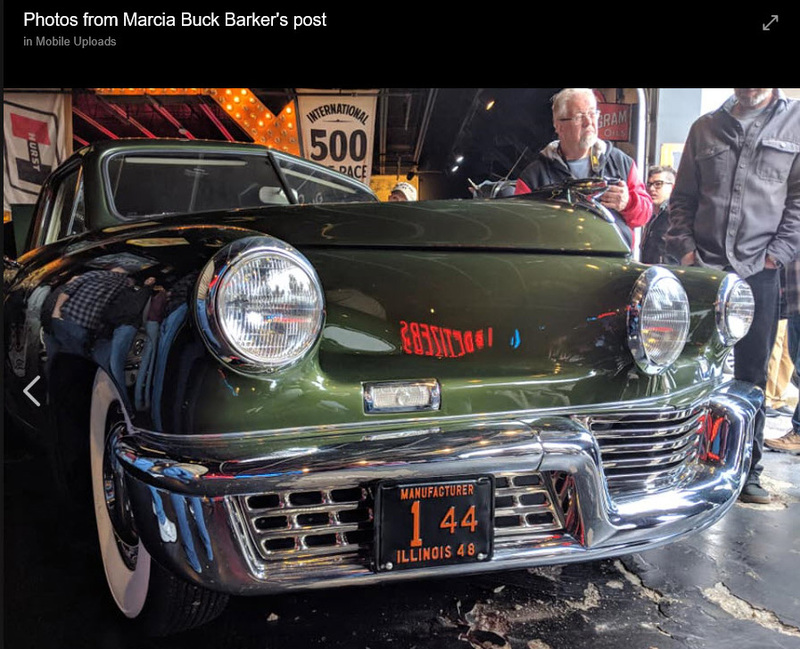 Making #1044 the most accurately restored Tucker on the planet will be the enduring legacy of your car!